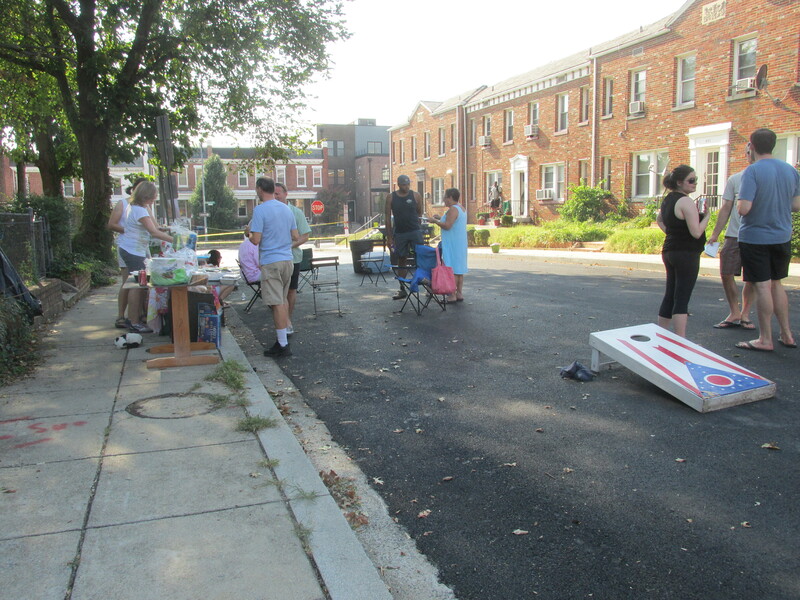 Block Parties | Park View, D.C.
Park View Neighborhood Block Party This Saturday! 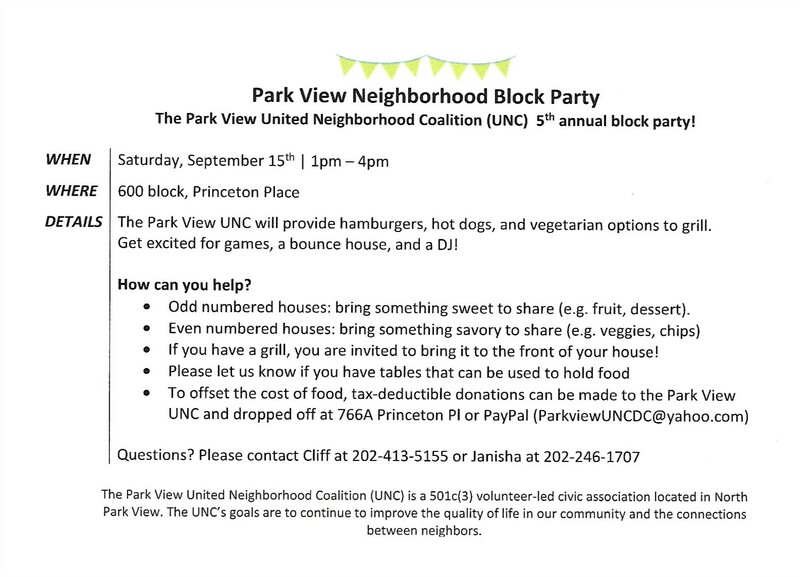 The 5th annual Park View United Neighborhood Block Party is this Saturday, September 15th, from 1-4 pm. This year it will be on the 600 block of Princeton Place. See the flyer below for more details. 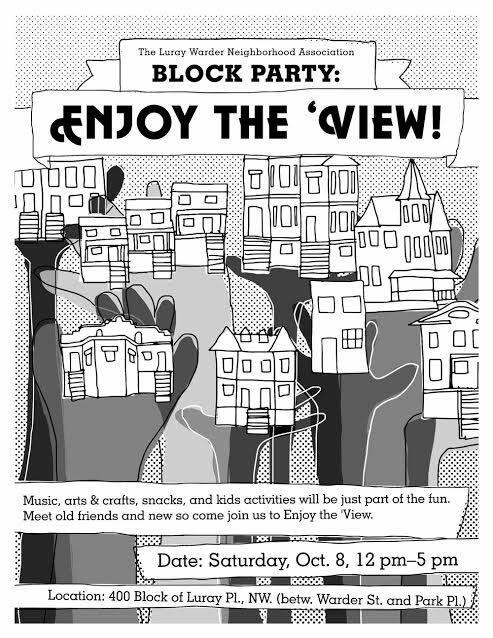 The annual Park View Block Party is Saturday, September 23rd, and sponsored by the Park View United Neighborhood Coalition! 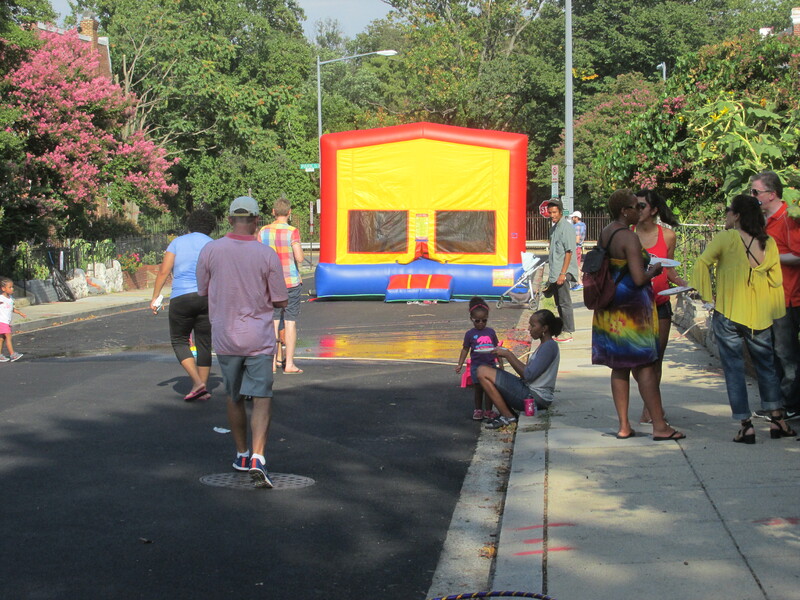 They’ll have food, music, a bounce house and games for kids, and great opportunities to meet your neighbors! 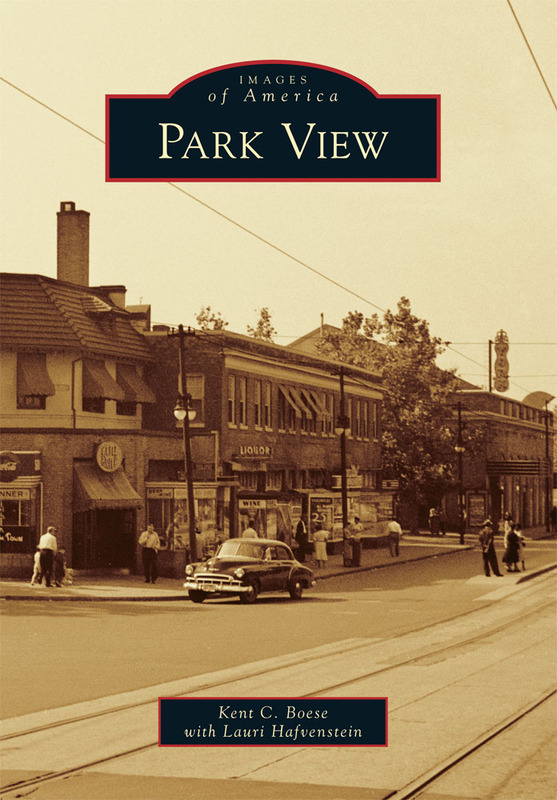 WHAT: Park View Block Party! WHERE: 600 Block of Otis Pl., NW (between Warder St. and Park Pl.) – the entire block will be closed off for the event! WE’LL HAVE: Food, music, a bounce house for kids, and more! All are welcome to bring a dish to share with neighbors, a chair to sit and relax, games, or just yourself and your family! The Park & Morton block party this Saturday will be along the 700 block of Morton Street between Georgia Ave. and Sherman Ave. from noon to 5 p.m. For more information, check out the flyer below or the event Facebook page. Luray Warder Block Party Tomorrow — Including Voter Registration! The Luray-Warder Neighborhood Association’s 2016 Block Party is this Saturday, October 8th, from 12-5 p.m. Neighbors can drop by and say “hi” and register to vote (time TBD)! Bebe the Clown will be there from 1-3 p.m., and local artist Parker Blair will be building a community mural. 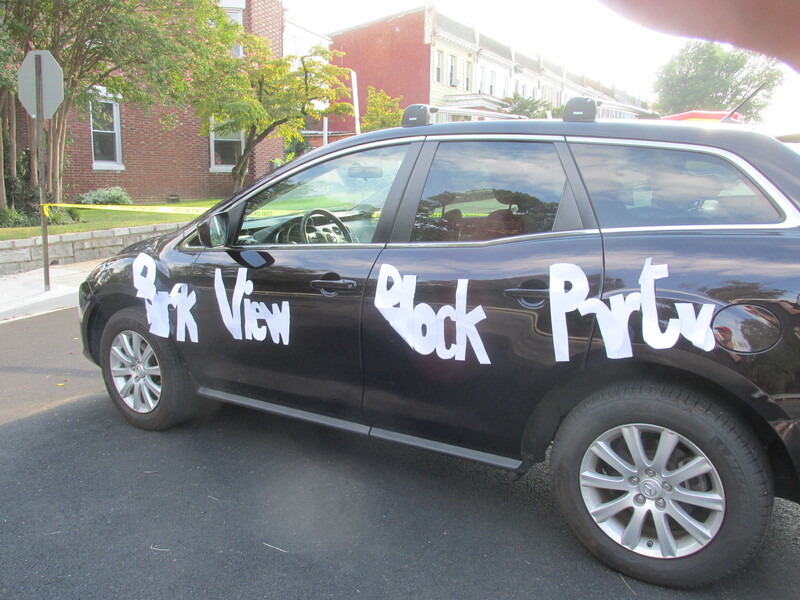 This year’s annual block party sponsored by the Park View United Neighborhood Coalition went off without a hitch on Saturday, September 10th. 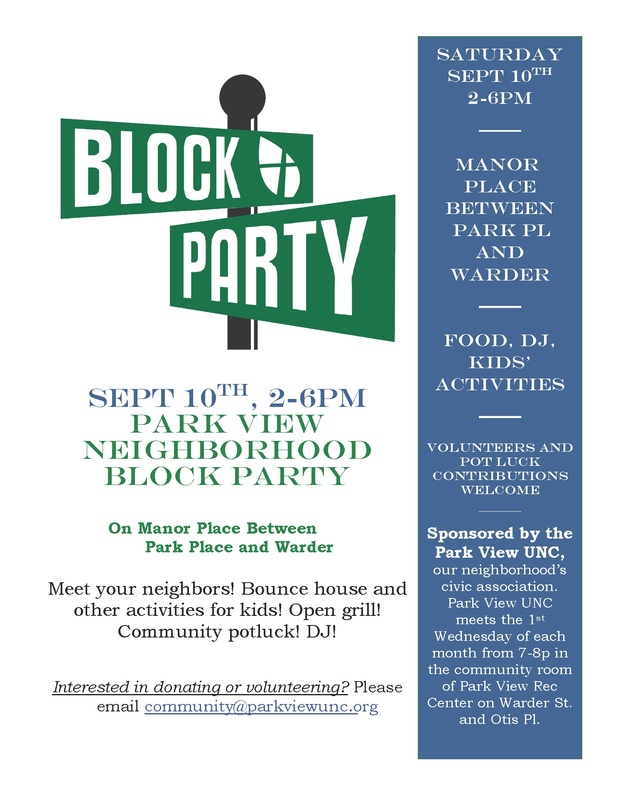 This year, Manor Place was the lucky block to host the event and provided a bounce house, great music, food, and above all great conversation. While the weather was a bit warm, there was good shade on the western half of the block and an occasional breeze that made for a pleasant day. 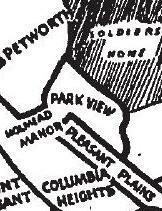 The annual Park View UNC block part is scheduled for Saturday, September 10th, this year and will be held on Manor Place. See flyer below for details.